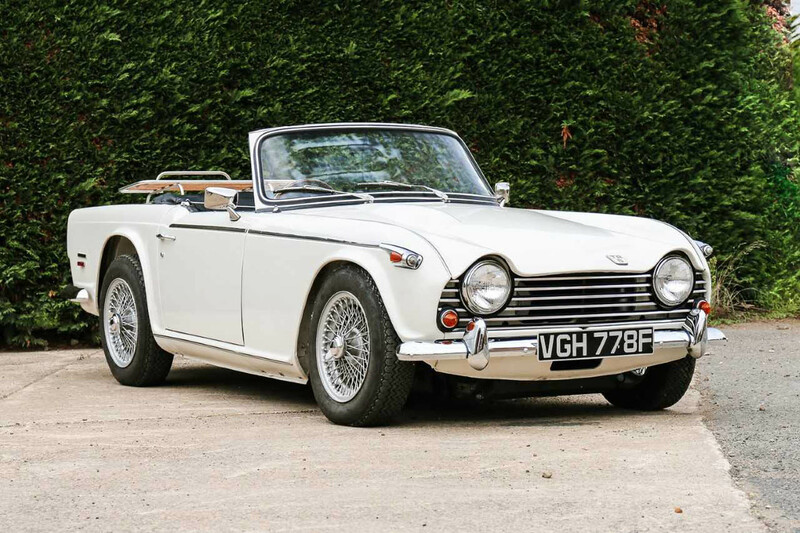 A CLASSIC Triumph TR4A sports car with less than 22,000 miles on the clock since new in 1967 is one of trio of Triumphs up for auction early next month. 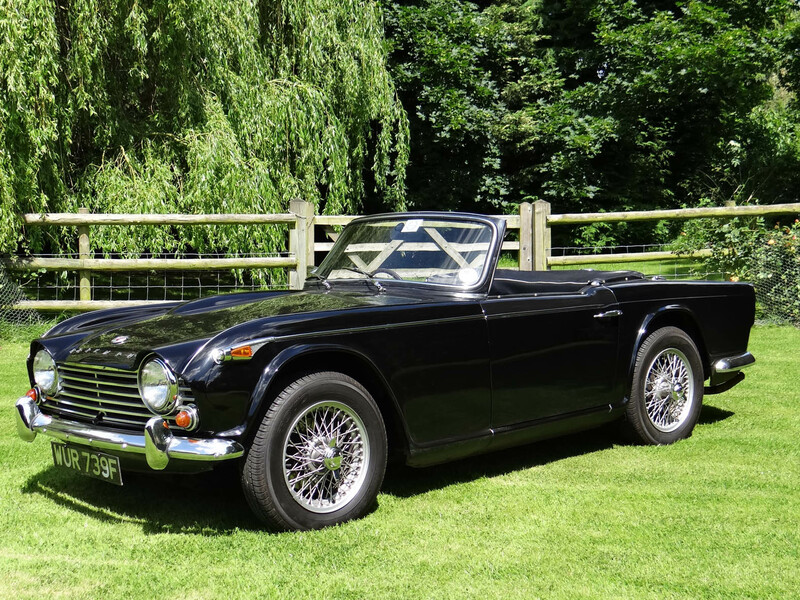 The TR4A had a bare metal respray in its current shade of black as part of a thorough mechanical and body restoration in 2013 and is estimated at Â£23,000 to Â£26,000 when it appears at Classic Car Auctions' season finale sale on December 1 at the Warwickshire Event Centre. The sale will also see a 1968 Triumph TR5 estimated at £35,000 to £40,000 on offer. 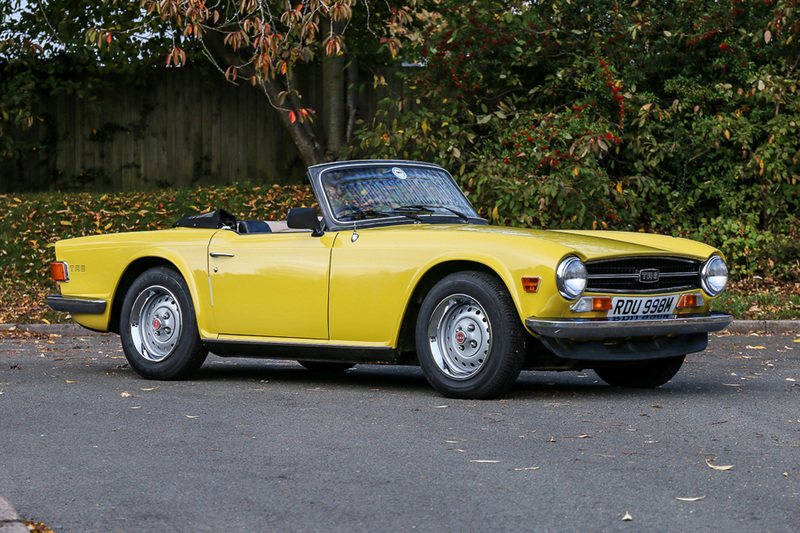 Carefully looked after during the last 11 years of ownership, the TR5 has been resprayed in Old English White with the engine, clutch, gearbox, steering, suspension and brakes all completely overhauled. 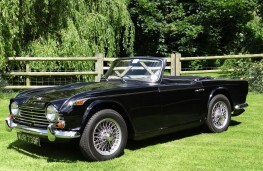 To complete the Triumph trio is a 1974 Triumph TR6, which was one of the original factory press department road test cars. 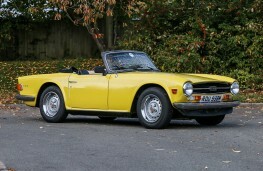 Finished in Mimosa Yellow with a black hood and interior, the TR6 has been family owned for the past 15 years. Estimated at £20,000 to £25,000, the car is well known in the Triumph enthusiasts' community and was featured in a classic car magazine in 1975.